South Carolina beaches are perfect for family getaways. One of the top destinations families visit there is Myrtle Beach. Not only is it a great relaxing place to take a beach vacation, you would also be surprised at the amount of activities available for the active members of your family. The light colored sands are compacted to bike on, and the water is a cool and comforting temperature during the summer months. If you are looking for a great vacation home, there are many to choose from – which means lots of space and privacy for your family and friends. Many families travel near and far to have their annual summer family reunion in one of the hundreds of gorgeous oceanfront properties available. With an abundance of rental homes, clear water for a little snorkeling or scuba diving, this South Carolina beach is the ultimate vacation spot. There are a number of decisions that need to be made when planning your next vacation: Where should we go? How should we get there? What activities should we book? What restaurants should we try? One of the most important things you’ll decide is where you’re going to stay. A bad accommodation option can mean a bad night’s sleep, not a lot of relaxation, spending way more money on eating out than planned, or not being close to ANYTHING you want to see. We’ve already outlined the reasons for choosing a Vacation Rental as opposed to a Hotel here. Now the next question is how do you pick from the millions of Vacation Rentals on the market right now? Location, location, location. This one is pretty clear. You need to check that the Vacation Rental you’re booking is in the most ideal area for the kind of vacation you’re looking for. Looking forward to a relaxing beach vacation? Make sure the home is within walking distance of the water. Want to immerse yourself in culture? Find a place that’s surrounded by museums. Want to eat and drink your way around a city? Make sure you’re in an area with lots of great restaurants and bars. If you’re on a budget, find a place a little further out – just make sure there’s public transit close by (or that you have a car!). New to the city? The property owners are your go-to contacts for getting that kind of information before making a booking. Ask them what’s near by, how close they are to certain attractions, and how accessible other areas of the city are by public transit. Make sure you have all the info you need before you book! Everyone has their own set of ‘must-haves’ when it comes to booking accommodation. For some it’s a hot tub, others need a king size bed, and others will need pet-friendly accommodation for their furry friend. Also keep your budget in mind. Trying to save a bit? Make sure your rental has a kitchen so you can prepare most meals at home. On RentByOwner you can filter your search results for specific amenities so you only see places that have what you need. Don’t see exactly what you’re looking for? Send an inquiry to the property owner to ask about your specific needs before you book! It’s important to think about what you’re going to be using the home for while you’re there. Planning on being out all day sightseeing, just using your place to sleep and shower? You can probably save some money and rent something smaller. Going to stay at your Vacation Rental during the day, have people stay over, or just want to be a little more comfortable? Make sure you have enough space for everyone staying with you. One of the beauties of staying in a Vacation Rental is the huge variety of homes there are available for rent. Looking for something luxurious and trendy? Get a penthouse condo somewhere. Want a cozy winter escape? Rent a cabin in the woods, complete with a fireplace. Looking for a relaxing sunny getaway? Find a dreamy beach house! You can find a small, basic rental if you’re on a budget or a top-of-the-line mansion if you’re looking to splurge. So find something that suits your exact style or mood – the possibilities are endless. One of the reservations some people have with booking a Vacation Rental is the fear of the unknown – it can be difficult to know for sure exactly what the property will be like before you view it. That’s why communication with the property owner or manager before and after booking is so important. Before booking, make sure the property owner is open and clear and is able to answer any questions you may have. Many property owners will be more than willing to chat on the phone with you to quell any worries and answer anything you’d like to know – take advantage of that! If a property owner or manager is unwilling to chat on the phone or seems short and unable to make time to answer your questions, then opt to find another property that suits all your needs. Wherever you end up choosing, treat your vacation rental like home – because for the length of your holiday, it is! Planning your next vacation now? Click here to find your dream Vacation Rental! Baja California is 27,071 square miles of gorgeous land. To the west is the Pacific Ocean, to the south is Baja California Sur and to the east is the Gulf of California, commonly called the Sea of Cortez. Baja is the perfect destination for a beach vacation. The whole family will enjoy Baja’s beautiful cave paintings found throughout the region’s mountains. Equip everyone with a camera or camcorder to record these treasures so that they can last a lifetime. The kids will love Baja’s tasty fish tacos and Mexicali’s Chinese restaurants. Adults will enjoy Baja’s Tecate Brewery, found in the mountains on Highway 2 between Mexicali and Tijuana. While you are in Baja, you have to check out the local wineries. The land’s fertile soil, perfect climate and optimal altitude create excellent conditions for grape growth. The region produces some of the best wines in the world. Locals take advantage by enjoying wine during all sorts of events, family gatherings and every meal after breakfast – so hey – when in Baja, right? Be sure to tour the Wine Route in Ensenada where you’ll find intimate wineries owned by families as well as larger wineries that export bottles across the world. The Route is dotted with camping sites, gourmet restaurants, museums, wine boutiques, ranches and art galleries. You could easily spend a couple days checking out this area of Baja. It is especially attractive to honeymooners and couples in search of a weekend escape. A large part of Baja’s appeal is its amazing beaches. The eastern side of Baja is favored by locals thanks to its peaceful waters and luscious sand. Vacationers particularly love the beaches on Cabo San Lucas. If you are looking to surf, head on over to the western side where you’ll catch some serious waves. 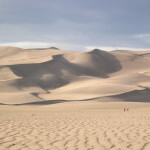 There’s also enormous sand dunes, cacti, dormant volcanoes and mountains in the southern and central sections of Baja. Baja’s waters are home to great whale species like the Orca, Bryde’s, Sperm, Blue and Fin. Many claim that Baja is host to more whales and dolphin species than any other area on the planet. So, bring a (waterproof!) camera when you head out on the water. You never know what you’ll see. Guadalupe Island features the super cool great white shark cage that entertains swimmers, free divers, snorkelers and scuba divers. There’s also hammerhead schools above a seamount by La Paz. Charter boats are available and there’s several dive shops to equip scuba divers with air tanks, flippers, masks and more. Don’t leave Baja without taking a camping style kayak tour of Loreto Marine National Park‘s wilderness islands. You can also catch a diverse group of fish in Cabo San Lucas like wahoo, dorado, roosterfish, marlin and sailfish. When looking for accommodation in Baja California, the best option is a vacation rental where you can kick back and feel at home while enjoying the beauty around you. Check out some great accommodation options here. Vacation ideas the whole family will love! Having fun and creating happy memories is the plan for any family vacation. Choosing the right destination, finding ideas for lodging, and experiencing the sights and attractions are all a part of the trip. Interactive activities and beautiful surroundings set the tone for the perfect family vacation. In most cases, the perfect family vacation does not offer a one-size-fits-all solution. For some families, the vacation needs to be all-inclusive, while other families simply enjoy city adventures. Whether the vacation is for the entire summer or simply a long weekend; there are many options around the world that can satisfy families of all types and sizes. There are many sights and attractions to experience while visiting Oahu. The beaches offer surfing lessons and the swells at Waikiki are extraordinary. Oahu also offers horseback riding at Kualoa Ranch and The Honolulu Zoo provides a perfect family vacation idea. There are also opportunities for learning – you can take the kids to watch the dolphins at Sea Life Park or inside an actual submarine at Pearl Harbor. New York is home to many cultural landmarks, zoos, and museums. Families can explore Times Square or ride a boat to the Statue of Liberty. The kids will enjoy a trip to FAO Schwarz or a ride on an elevator to the top of the Empire State Building. There is even the opportunity to have a picnic in Central Park or eat at Carnegie Deli. New York has endless options to enjoy while on the the family vacation. Paris is known as the City of Lights and this destination will brighten any vacation plans. This city is perfect for kids of all ages and Paris offers a wide range of sights and attractions. From the elegant Eiffel Tower to the impressive sights of Notre Dame; Paris has it all. The Parc Asterix is breathtaking and the Louvre offers wonders that are sure to dazzle any family. Playa del Carmen is located on the Mexican Caribbean and offers beautiful, sandy beaches. There are also several child-friendly theme parks and the Mayan archaeological sites. Both children and adults can enjoy visiting the Discovery Jungle Park. This park offers an authentic rope bridge that is extremely thrilling. Playa del Carmen also allows visitors to explore the Xcaret’s aquarium and butterfly pavilion. Rome offers sights that are guaranteed to impress any family. The Italian capital provides a fascinating getaway. The city offers engaging indoor and outdoor activities for the entire family. There is the bone-decorated Santa Maria della Concezione as well as the many delicious ice cream stops throughout the city. Rome is a vacation idea that has something for everyone. The Colosseum, Spanish Steps, and Pantheon are a must see when visiting Rome. The family vacation is a time to create fond memories and build bonds. These 5 vacation ideas are popular destinations that many families visit year after year. Here are our top tips to make planning your next vacation as smooth as the drink you’ll be sipping on the beach! Whether this is your first trip or you are a seasoned traveler, most of us pack our bags and hit the road looking to make some lifelong memories and to enjoy some relaxation. This is why so many people’s first instinct to book a hotel can be wrong. Sure, there are some nice hotels out there, but you have to remember that when you stay in a hotel, you’re one of hundreds of guests. In some cases, you’re one of thousands of guests. In other words, there’s no real privacy and you can expect to receive the same standard room and treatment as any other guest. In these situations, you’re just a number, one of many. Renting a vacation home is appealing for a variety of reasons. You can choose the exact home that meets your needs. The size, the amenities, the location. The best part is, you don’t have to share your rental home with other guests! When you rent a property, the owner of that property is going to have everything prepared for you to make sure you had the best experience possible. In these situations, you are the only guests to please. Additionally, you don’t have to deal with waiting on lines or listening to other people’s kids screaming and yelling. That’s not a real getaway. That’s just a different kind of headache. A vacation rental offers a relaxing and private home away from home. Here are some other great steps for ensuring your vacation goes smoothly from start to finish. Take a look at the weather forecast before you go! As much as we would love it to always be sunny (or snowy if that’s what you’re hoping for! ), chances are you might see some less than ideal weather while you’re away – and you want to be prepared for that. Bring clothes for all weather possibilities, and make sure you have (or the property owner has) indoor activities – books, games, DVDs, in case going outside isn’t an option. Book some tours, activities, and meals ahead of time. It can be nice to go with the flow a little bit on vacation, but having a couple things booked can make you feel a little more organized – especially when you first arrive. Check out some tour and activity options here for your next trip! Make sure you pack your car (or at least your bags!) the night before you leave. This accomplishes two goals at once. One, it saves you time in the morning, which allows you to get up, eat breakfast, and go. Two, by leaving earlier in the morning and saving that hour, you will be on the road earlier than most vehicles. Another important step for saving time is to tell the property owner what you and your family like to do. For example, if you tell them that you like to go to the beach, then they might have beach chairs, an umbrella, and a cooler sitting by the front door when you arrive, making it as convenient for you as possible. Don’t have a vacation booked yet? Now’s the time! Click here to start browsing over 500,000 properties. Best ways to prepare for a trip with your kids! “Are we there yet?” That question can strike dread in the heart of any parent. This is especially true when it comes to travel. Going on a vacation with children can quickly become a nightmare for the unprepared parent. When it comes to traveling with kids, there are several important steps every parent can take to help eliminate the “Are we there yet” blues. One of the biggest steps any parent can take is to simply plan ahead. While many adults pride themselves on their adaptability, most kids thrive on routine. Nothing can make a family travel dissolve into chaos quicker than not planning ahead. Leave time to explore and not be rushed. This is important for little kids especially. The next step is to make sure you have a backup for almost everything. The last thing you want is to be on a vacation with children that are mad because they accidentally spilled ketchup on their shirts and have nothing to change into. Being on the road with kids makes having extra diapers, wipes, toys, shoes, and clothes a necessity. Speaking of wipes, even if your child is out of diapers, try to keep some wipes on hand. From simple spills on up, these wipes can be a godsend for those of any age with sticky or dirty hands. If your child takes any kind of medicine, don’t forget to bring it along! Raising children is hectic enough, the last thing you need is to spend a hunk of it panicked and on the phone with your child’s pediatrician, or trying to find one that is in the area you are in. Keep your kids entertained. The last thing you want on a vacation is to have your kids be bored. Not only will they make everyone else’s time worse with their whining, they are more likely to get into trouble or misbehave if they are bored. Make sure to bring plenty of books, games, crayons, and pencils. Electronic devices can be a good way to entertain your kids, but you don’t want them spending too much time looking a screen. Lastly, talk to your child and see if there is anywhere they would like to go on the trip. Having an end goal in sight can work wonders to keep you child engaged in what’s going on around them. No child looks back fondly on the vacations where they were dragged to the places their parents wanted to go. Involve your kids in planning and they will be more engaged in the destinations and activities you choose! Now get planning and go enjoy an unforgettable family adventure even you kids will love! How to Travel Smart on a Budget! Many people operate under the assumption that traveling the world is only for the wealthy. However, this couldn’t be further from the truth. The truth is that anybody can travel; all it takes is a little bit of planning and careful budgeting. Here are a few helpful, money-saving travel tips for making the most out of your vacation no matter how small your budget may be. One of the best ways to save money is to make your reservations and accommodations as far in advance as possible. This includes booking your transportation and hotels weeks or months in advance. Doing so helps you to secure the lowest possible rates. On the other hand, waiting until the last minute to make these accommodations increases your chances of paying top dollar. A great way to make the most out of your travels while saving money in the process is to get advice from the locals or from others who have traveled to your destination in the past. This way, you can get an insider’s look and learn more about the cheapest and best places to eat and perhaps even some free things to check out while you’re there. Many airlines, hotels, and attractions offer heavily discounted pricing during their non-peak travel seasons. Therefore, if there’s somewhere you’ve always wanted to go but haven’t been able to afford, consider checking rates for the off-peak season. You might be surprised to find just how much cheaper your vacation can be when you visit during a less busy time of year. Furthermore, you’ll get to enjoy the advantage of being one of the only tourists there. While flying to your destination may be a necessity if you’re going outside of the continent, the fact remains that it’s more cost-effective, in many cases, to drive to your destination rather than flying. Take the time to do the math and figure out just how much you can save by driving instead of flying; then, decide which option is best for you given your budget and the time you have allotted for travel. Overall, there are plenty of ways to stretch your dollar while traveling. Be sure to keep these simple yet effective travel tips in mind as you dream of your next vacation. There are few things more enjoyable than going on a vacation. The key to a successful vacation is making it as stress-free as possible. After all, the whole point of going on a vacation is to relax. Unfortunately, sometimes the process of finding a nice and affordable place to stay is enough to drive you crazy. It can be stressful when you book a hotel room, and things are not quite as great as you expected them to be. A great way to get around this problem is to make yourself feel at home when you travel and stay in a vacation rental rather than a hotel room. A vacation rental is exactly what it sounds like. It’s a privately owned home that you can rent, with many of the same luxuries of an expensive hotel, minus the confinements and massive price tag. A vacation rental will also have many of the same amenities that you will have at home and often include other luxuries like a pool, hot tub or private patio. Most vacation rentals include a private living space, a fully equipped kitchen, and the ever-so-important privacy that most vacation goers look for. The greatest part about renting by owner is that a vacation rental is usually more affordable than staying at a hotel and is equipped with the necessities of everyday living. Staying in a hotel can not only prove to be costly, but can also be stressful for many reasons. Hotels can be a relaxing get away, however they are often crowded and have long lists of policies and restrictions that limit your flexibility. One of the most common issues people have is getting a room that they are less than satisfied with. With hotel prices higher than ever, it can be very disappointing to have to stay in a room that isn’t as great as you were hoping it would be. Busy hotels cater to hundreds of different guests every day, so it is not uncommon for a reservation to get lost, or a room to take longer than expected to be ready. When something is operated at such a large volume, it’s more likely for things to get overlooked. When you stay at a vacation home, you have your own space and privacy and get a more intimate experience of the place you are visiting. You will feel just like a local, instead of feeling like a tourist. Most vacation rentals will provide you with the same amenities as a hotel, for just a portion of the cost, and the bonus is you usually have them all to yourself! The greatest part about renting a vacation home is the additional space you will have compared to a hotel room. You don’t need to be confined to a single hotel room, you have an entire home to enjoy – so you can relax and make yourself at home. If you want your vacation to be as good as it can possibly be you should stay in the best place possible, a vacation rental! A vacation rental is also a great way to save money on dining out giving you more of your travel budget to use towards things you want to see and experience on your trip. With so many beautiful places to choose from in North America, deciding where to plan your next vacation can sometimes be hard. We know there are many things to consider when planning a vacation, so we thought we would help. Beautiful scenery usually makes it to the top of most travelers lists. Here are a few incredible places that will wow the eyes and leave you speechless. 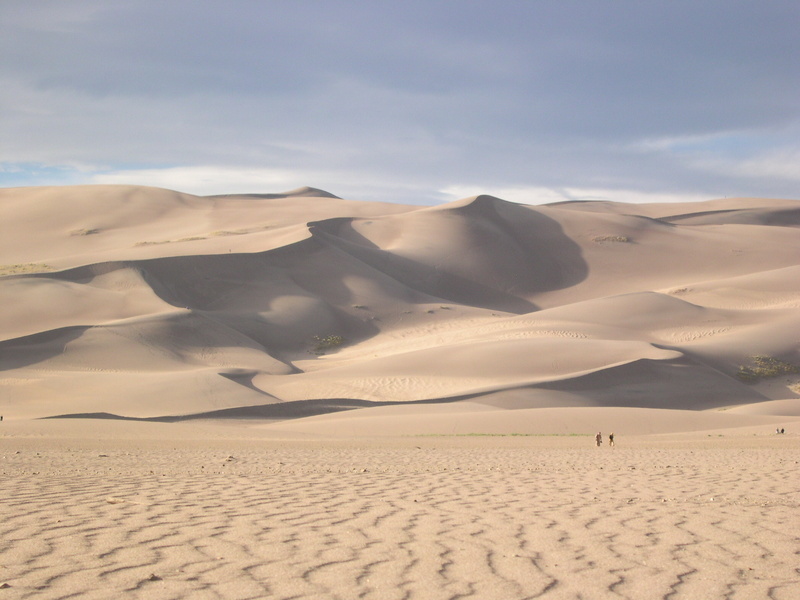 Located in Mosca, Colorado, the Great Sand Dunes are a sight to behold. Just from the bottom they are extraordinary, but if travelers are feeling adventurous, a hike to the top will take their breath away as they see the view for miles. 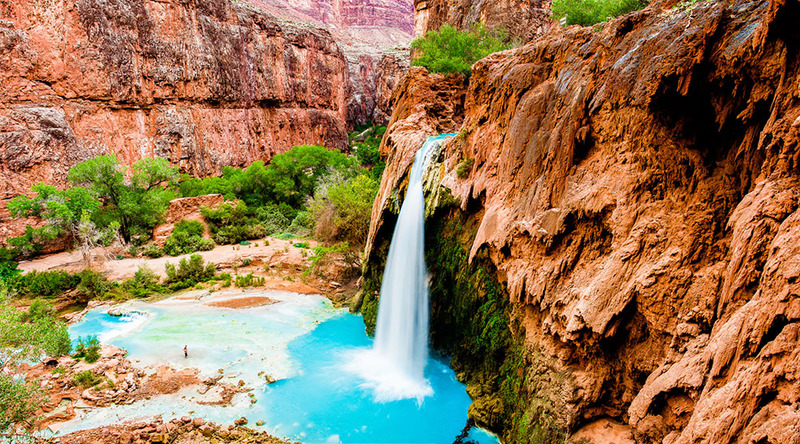 Amidst crystal blue water in the heat of Supai, Arizona is Havasu Falls, one of the most beautiful and spectacular water fall destinations in the U.S. While swimming under the beauty of the falls, the eyeballs will not be disappointed. 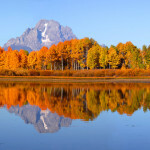 The Grand Teton is the highest mountain in Grand Teton National Park, Wyoming and is one of the most breathtaking mountain destination ranges in the world. Camping with such a view will be unforgettable. 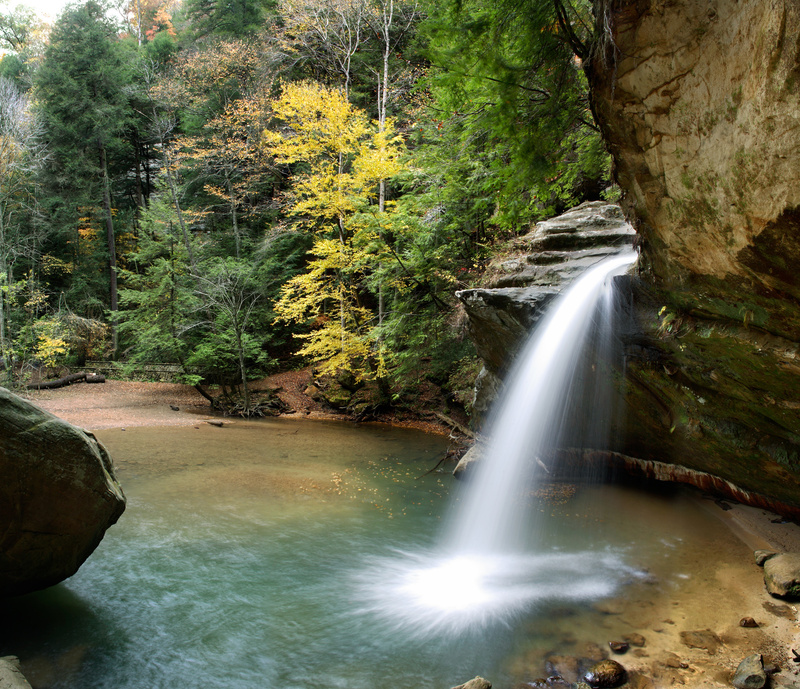 In West Liberty, Ohio, the largest known caverns are a top traveling location for travelers. Unique formations that can only be found among the Ohio Caverns will leave visitors in awesome wonder. The perfect traveling location for someone not up for heights but still looking for awesome wonders. Your mind will be blown when you travel to Lake Powell, a gorgeous reservoir across the Colorado River. 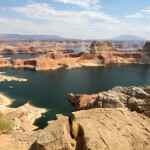 Lake Powell is a vacationing oasis with gorgeous sights and weather and a popular spot for houseboats. If you a looking for a vacation filled with water sports and beautiful sights, Lake Powell should be at the top of your list! Almost as if the very first sunrise just hit the ground, the early morning view at the Grand Canyon cannot be missed. This steep canyon is part of the Colorado River basin and is famously known for its sheer size and elaborate and colorful landscape. 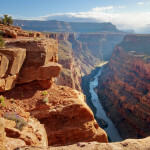 Nothing quite leaves a traveler speechless like the sight of the Grand Canyon. White sand between the toes and warm Florida sun all nestled together under enormous palm trees. Key West Beach is one of the prettiest ocean views to ever grace the eyes. With a drink in hand and a tan on the way, vacation rental areas for Key West Beach will be a sweet taste of paradise. Travel plans will always be more enjoyable when the choices are something that is one hundred present mind-blowing and will leave each and every viewer completely numb for words. Click on the photos below to enlarge the images for just a little taste of the beauty these destinations hold. Surfing is one of those sports that people fall madly in love with – planning their next vacation based on where they can catch the best wave. Whether one is a beginner or an experienced surfer, this list of top 10 best beach destinations in the USA for surfing has something for everyone. Narragansett Town Beach is great for beginners and well-known in New England as a top surf destination. Some local surfers advise waiting until evening to avoid the ever-present crowds. This Mid-Atlantic beach is finally loosening up its regulations, and many beginners come there destined for surf camps. Its famous hurricanes usually draw more experienced surfers to the area. Surfers who want to hone their skills in peace head away from the Hamptons, rent a beach house in Long Island and surf along the sleepy shores of Montauk. The Outer Banks area has a collection of beaches like Cape Hatteras and Corolla that draw surfers from all over the East Coast. Professional surf tournaments take place there annually, and surfers of all skill levels find the right waves for miles. Trestles is a legendary surf spot that all surfing enthusiasts feel the need to visit at least once. This is no tourist area, and one will not find a cute beach house to rent near the shore. However, it is an isolated gem with five star waves. The Surfrider Beach in Malibu has been a favored southern California surf spot since the 1960s. Surfrider has waves suitable for beginners at First Point and more challenging ones at Second Point. Santa Cruz is where surfing in the USA first became popular during the 1930s, and internationally recognized surf tournaments still take place there. After visiting the point breaks at Steamer Lane, one can stop in at the surf museum for a history lesson about the sport. Hollywood has accurately portrayed Oahu’s North Shore as a great destination to surf. The Banzai Pipeline on the North Shore lives up to its reputation with lethal thirty foot waves set along a tropical background. Hanalei Beach is one of the best places to surf, and its stunning beauty also makes it one of the best beach destinations in the USA. These beach towns with beautiful scenery, relaxed ambiance and challenging swells are some of the best places to surf. Check out our amazing selection of vacation rentals at RentByOwner to find the perfect place to rest your head after long days in the swell.